Print Art Exhibitions at JKK explore the development of Print Art in India. HomePress ReleasePrint Art Exhibitions at JKK explore the development of Print Art in India. A curatorial walk-through was held today at Jawahar Kala Kendra of two print art exhibitions namely, ‘The Printed Picture’ and ‘Prints from Rajasthan’. 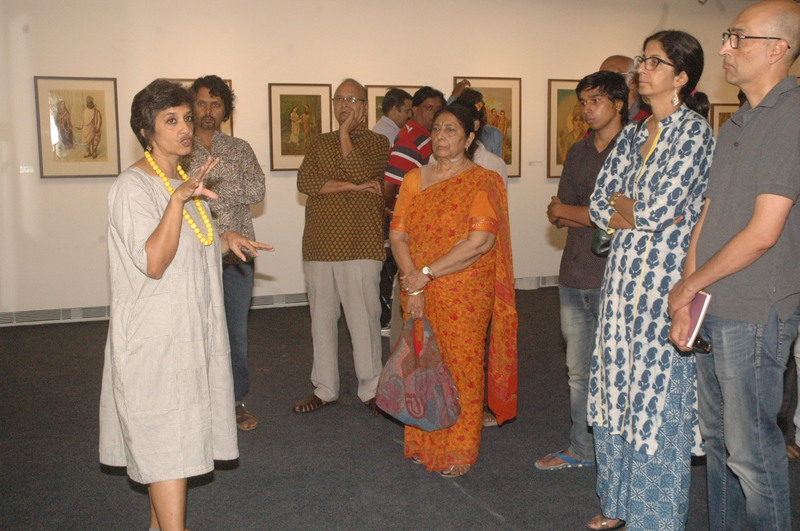 The comprehensive walk through of the exhibition — ‘The Printed Picture’ was curated by the artist and scholar, Dr. Paula Sengupta. She is also a teacher of print making at Ravindra Bharti University in Kolkata. Ms. Paula explained the visitors, all the nuances and intricate methods of printmaking like woodcut, linocut, serigraphy, lithography, etching, among others in a layman language. “The Printed Picture exhibition charts the journey of printmaking in India from its beginning in 16th Century and the its evolvement over 20th Century,” Ms. Paula explained. She also described the advent of the printed picture as we know it today and the early movements and developments in this art which happened during the Colonial era. It was spread worldwide by the artists and travellers who visited continents and subcontinents in early centuries. She further showed the collection of old print arts that was made in India. “Calcutta Art Studio prolifically produced a phenomenal work of print art which is called the predecessor of Calendar art. Other art studios in India has also produced a plethora of prints on characters and stories taken from Indian mythology. 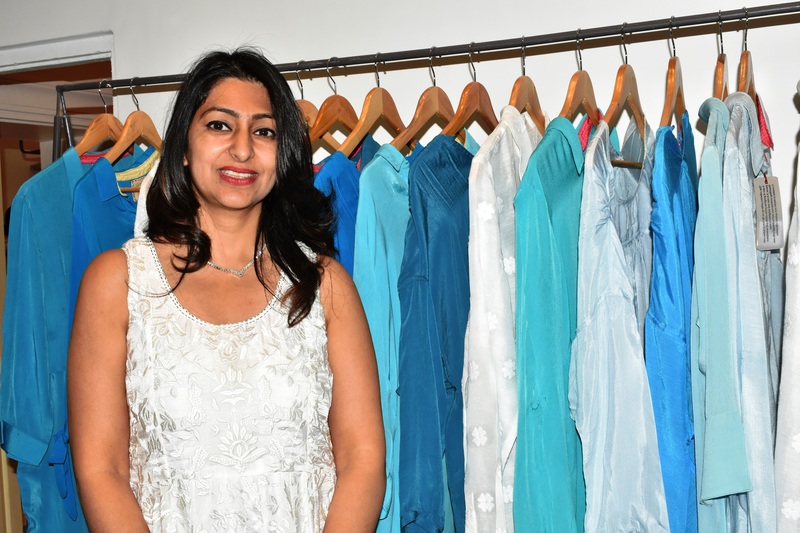 These prints were designed by eminent artists like Raja Ravi Verma, Somnath Hore and Gagendranath Tagore among others,” she said. Another walk through of the exhibition — ‘Prints from Rajasthan’ was curated by senior artists, Mr. Vidyasagar Upadhyay and Mr. Shail Choyal. Mr. Vidyasagar is an expert in the techniques of etching and lithography and Mr. Shail’s expertise is in etching. This exhibition is showing the print artworks of key artists from Rajasthan and their contribution to the genre of print making in India over the past 5 decades. “Print making in Rajasthan was pioneered 70 years ago and now is one of the most increasing art forms in Rajasthan. 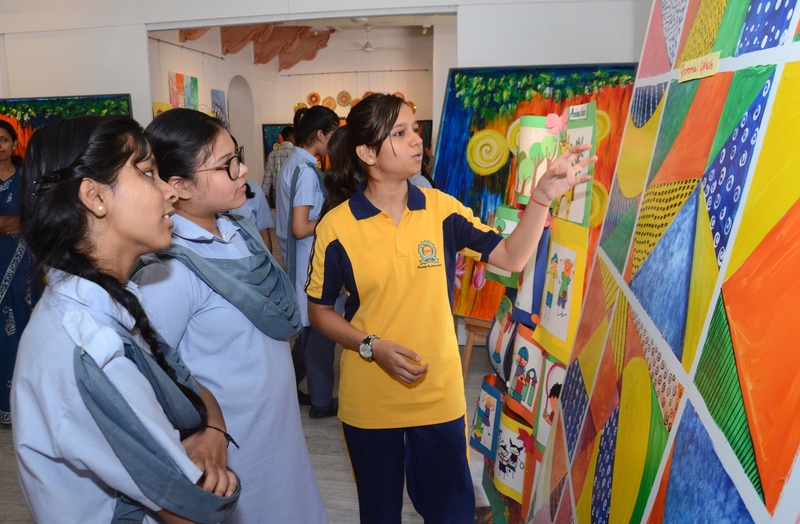 And this exhibition houses the traditional styles of art which are especially related to Jaipur,” said Mr. Vidyasagar. Earlier, on the occasion, ADG, JKK, Ms. Anuradha Singh addressed the visitors with a welcome note and introduced the curators; Ms. Paula Sengupta, Mr. Vidyasagar Upadhyay and Mr. Shail Choyal to the media. The exhibitions will be on till 8 October (except Mondays) from 11 am to 7 pm at the Museum Galleries of Jawahar Kala Kendra.